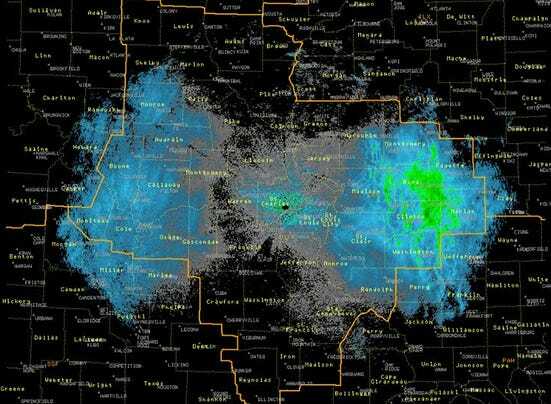 A swarm of butterflies, winging its way south for the winter, was "spotted" as large blue blobs on weather radar last week over southern Illinois and central Missouri. "We think these targets are Monarch butterflies," the National Weather Service in St. Louis noted on its Facebook page, which also includes a technical explanation of how the weather service came to this conclusion. The monarchs were flapping their way south toward their winter home in Mexico.